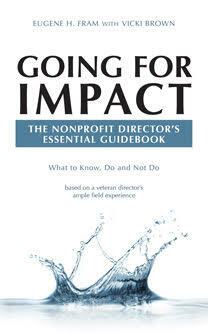 Many nonprofit boards engage a consultant to ferry them through challenging times and/or projects. After years of experience as a nonprofit board director, board chair and advisor, I have come to question the impact of these initiatives. From what others and I have observed, the board too often selects a person for the job without adequately researching his/her “fit” to the requisite challenge. A failure to appropriately vet a candidate can result in a weakened process and disappointing results. 1. Experience – Look for persons with a depth of experience in the organization’s mission arena. Consultants from allied fields can be helpful. They need critical thinking abilities and should be able to adapt their past experiences to the new assignment. Don’t accept academic credentials in place of nonprofit field experiences for candidates in developing funds or for broad gauged strategic planning positions. Example: Newly minted college graduates may not relate well to experienced CEOs or senior donors who have estate assets. In a similar vein, those with only modest level business or nonprofit planning experiences often have nothing more than a SWOT — strengths & weaknesses — program to offer. The impact potentials for these types of candidates are inadequate at best. 2. Work Samples – Ask to review samples of recent work related to the project for which he/she is being considered. If the person indicates they are all confidential reports, ask him/h to bring several to an interpersonal meeting and have the candidate quickly guide those present through the contents, carefully omitting sections with confidential material. If sample reports are submitted, have several board members independently review the projects for quality level. Don’t be surprised if there are divergent evaluations that can serve as a basis for further discussions about the candidates. 3. References — In the litigious society in which we now live, few references provided by the candidate, will willingly give negative information. Sometimes simply inserting the candidate name into a Google search will provide additional pertinent information. If necessary, there are firms, offering low costs, that can be helpful. Example: I recently observed one nonprofit director who used one of these firms develop a great deal of positive information about a candidate and her experiences. Be especially careful about in reviewing persons suggested by board members. They need to have as thorough a vetting process as other candidates, perhaps even more, if the person is being suggested for high performance. Past candidate performance does not always guarantee future performance, as they say in the financial industry. 4. Work Habit – Make certain the organization knows what support the consultant will need to have an impact. Example: At this time, most nonprofits will not have an adequate “Big Data” base that the consultant can use. 5. Flexibility — Most projects require some changes as they proceed. The consultant and the client will need flexibility. Make certain that both are familiar with the level of flexibility that may be needed. 6. Price – In my opinion, too many nonprofit boards are “penny wise and dollar foolish” when they engage consultants without dispassionate vetting and accept the lowest price. One major mistake is to give a candidate preference because he/s is local resident. Travel costs are eliminated and references are easily obtained. But beware: I once encountered a fundraising consultant who was frequently engaged in the local community. His prior employers were ashamed to admit, or feared to indicate to the community, he was not effective. ← What’s Needed To Become a Nonprofit Board Change Agent? Reblogged this on Casey Wheeler Consulting.